CHARLOTTESVILLE, Va. — Jurors told a judge Tuesday that life in prison is appropriate for a man who rammed his car into counterprotesters at a white nationalist rally, capping a trial laced with the emotional testimony of survivors and troubling details of the self-proclaimed Hitler admirer's long history of mental illness. 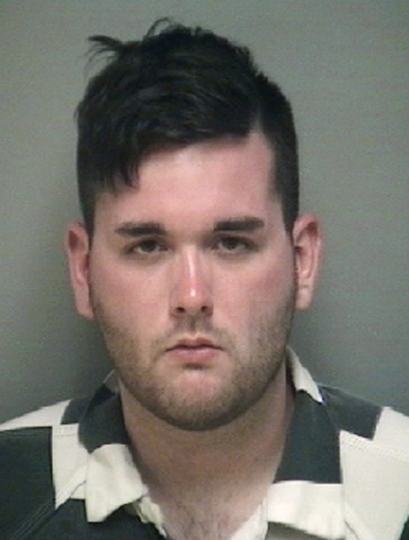 James Alex Fields Jr., 21, stood stoically with his hands folded in front of him as a court clerk read the verdict, which now must be taken under advisement by the judge, who will issue the final sentence. Judge Richard Moore scheduled a sentencing hearing for March 29. 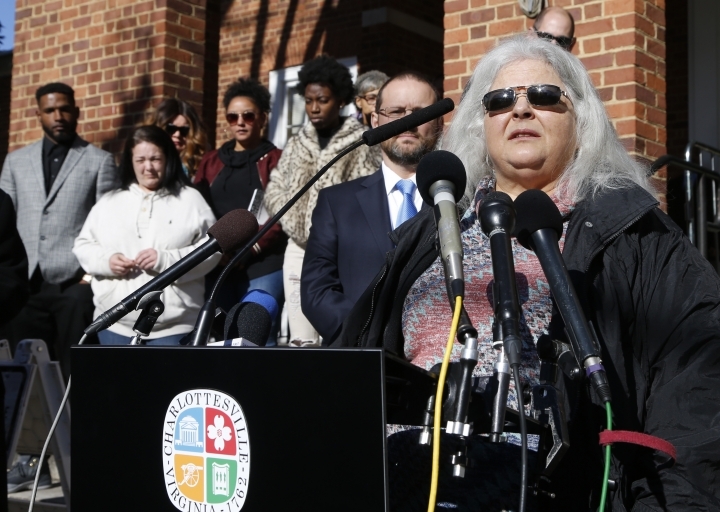 The jury recommended a sentence of life for first-degree murder in the killing of Heather Heyer, a 32-year-old paralegal and activist, and also recommended a total of 419 years for his convictions on nine counts involving injuries Fields caused to others and for leaving the scene of the crash in Charlottesville last year. 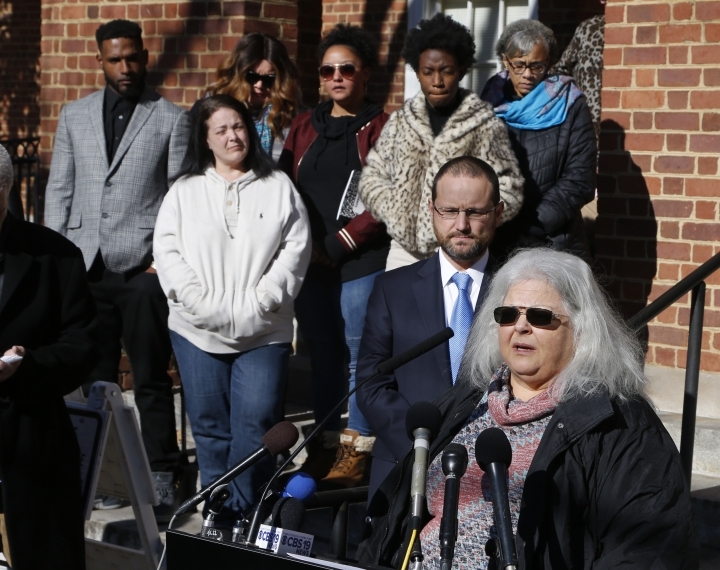 Heyer's mother, Susan Bro, said she was satisfied with the jury's recommendation, although she said her family and the survivors of the car attack will never be the same. 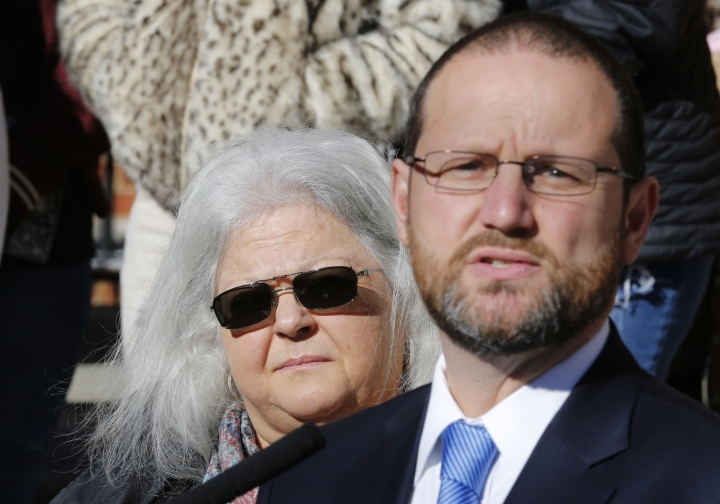 "The bottom line is justice has him where he needs to be," Bro said. "My daughter is still not here and the other survivors still have their wounds to deal with, so we've all been damaged permanently, but we do survive, we do move forward, we don't stay in that dark place." Before issuing its recommendation, the jury asked Moore if the sentences would run consecutively or concurrently. He replied that sentences usually run consecutively, but that jurors could recommend concurrent sentences if they chose to. They did not. The jury deliberated for about four hours over two days before agreeing on a sentencing recommendation. Commonwealth's Attorney Joseph Platania spoke of the need to reject violence and hate. He thanked the survivors of the attack for testifying about the pain and psychological trauma caused by the car attack. 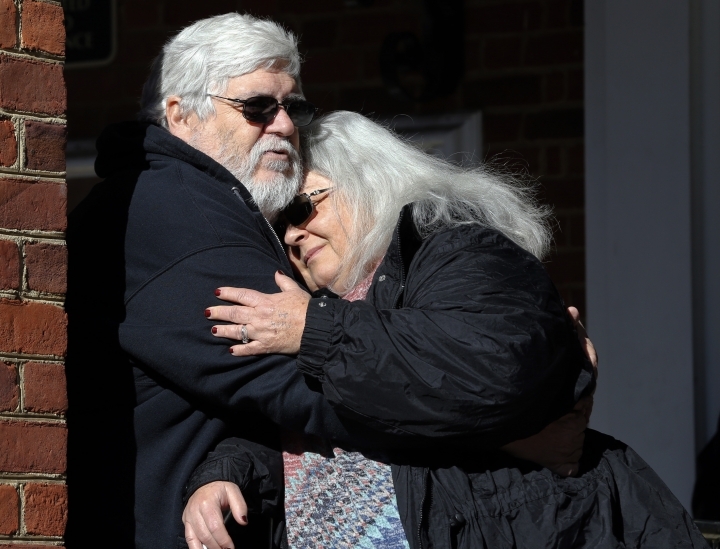 "We are unable to heal their physical injuries or bring Heather back, but we are hopeful that they are able to take some measure of comfort and solace from these convictions and sentences," Platania said. 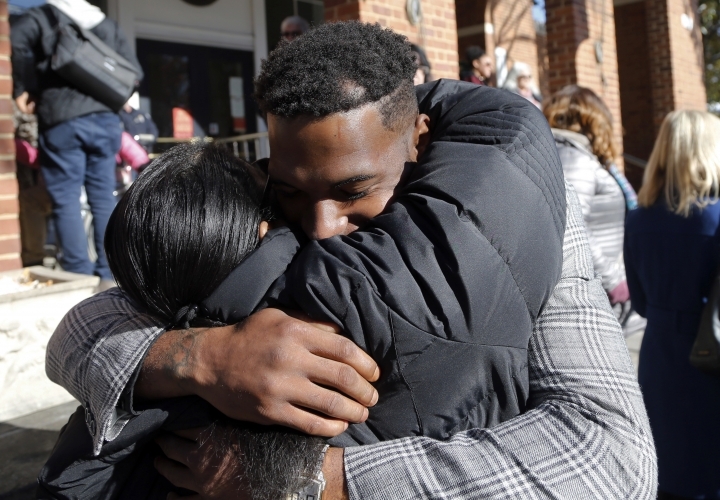 Bro thanked the jury, survivors, prosecutors and even Fields' defense lawyers for "trying to help the young man." "But in the end the hands of justice say that he needs to be kept away from society for a while, and I'm content with that," Bro said. Fields drove to Virginia from his home in Maumee, Ohio, to support the white nationalists at the "Unite the Right" rally on Aug. 12, 2017. After police forced the crowds to disband because of violent clashes between white nationalists and counterprotesters, Fields spotted a large group of counterprotesters marching and singing. He stopped his car, backed up, then sped forward into the crowd, according to testimony from witnesses and video surveillance shown to jurors. 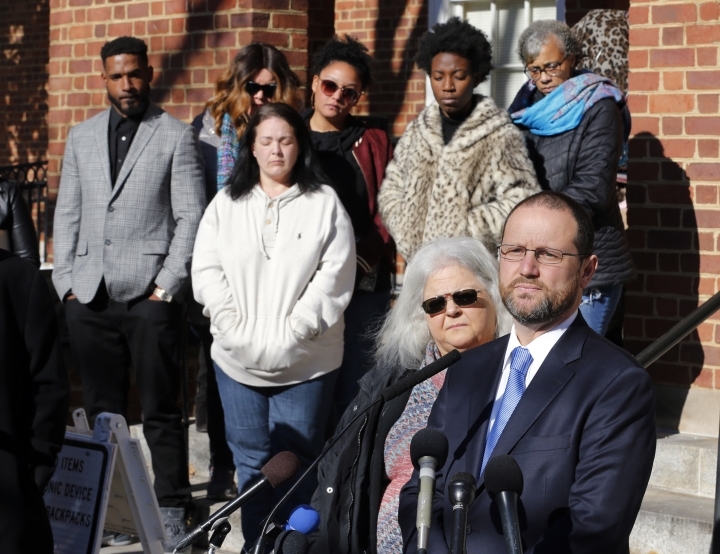 Testifying for the defense, University of Virginia School of Medicine professor and psychologist Daniel Murrie told the jury that while Fields was not legally insane at the time, he has a long history of mental health issues. Fields had inexplicable volatile outbursts as a young child and was diagnosed with bipolar disorder at age 6, Murrie said. He was later diagnosed with schizoid personality disorder. Murrie said Fields went off his psychiatric medication at age 18 and built an isolated "lifestyle centered around being alone." A video of Fields shown to the jury during the first phase of the trial showed him sobbing and hyperventilating after he was told a woman had died and others were seriously injured. Fields' lawyer Denise Lunsford called him a "mentally compromised individual" and urged the jury to consider his long history of mental health issues when considering a sentence. The Unite the Right rally had been organized in part to protest the planned removal of a statue of Confederate Gen. Robert E. Lee. Hundreds of Ku Klux Klan members, neo-Nazis and other white nationalists — emboldened by the election of President Donald Trump — streamed into the college town for one of the largest gatherings of white supremacists in a decade. Some dressed in battle gear.